Choose from a collection of award-winning, hand-finished albums and books and create the perfect package. Choose from a collection of award-winning, hand-finished products and create the perfect package. Don’t you think it is time to grow your sales this year? Then we’ve got a great solution! Introducing Shopping Cart Deals from ProLab! See, with your Elite Litho order you can get various free items in your shopping cart, but there’s one prerequisite to claiming these amazing deals…ALL items MUST be in the same shopping cart! Grow your shopping cart, grow your business! 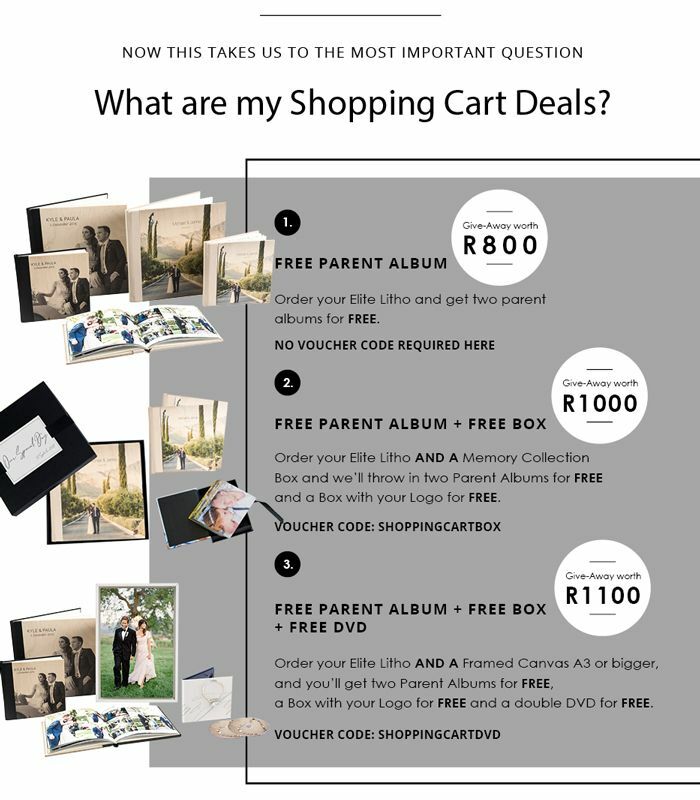 All you need to do is to make sure that you ordered / designed all the items and have it in one shopping cart to qualify. Of course if you have any questions, do not hesitate to contact our ProLAB team. This offer is valid until 31 December 2019. 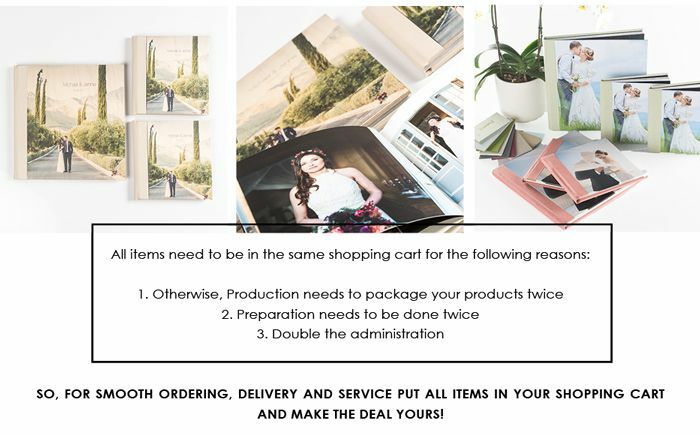 This offer is only available on the Elite Litho Album products ordered in Designer Pro Portfolio, and can not be combined with any other promotion. ONLY shopping carts with the correct products ordered using this promotion will receive the FREE BOX and/or DVD. Voucher codes will only be valid for Only ONE DEAL at a time. Orders must be placed with the latest version of Designer Pro Portfolio software available for free from our website. No email orders will be accepted. The discount will only apply if the promotion code is entered at the payment gateway. If you would like multiple orders to be delivered together you must make use of the shopping cart function in the software. Email instructions to this effect will not be accepted. This offer can not be combined with other offers and is not redeemable for cash. Standard Q-Photo Terms & Conditions apply, see www.prolab.co.za for more information.